Finally it's done, the official sous vide book from Landig & Lava with 160 pages in high quality hardcover. 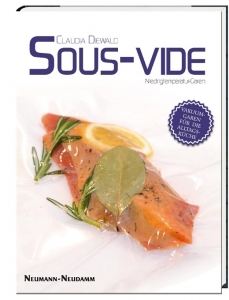 The first sous vide book which contains not only recipes to star cuisine level. What has been reserved for the upscale restaurants, sets this book to the local cuisine. 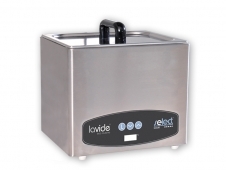 Far away from the declaration of chemical processes, recipes can be found suitable for everyday use, but also sophisticated recipes in gourmet quality, using a vacuum sealer and a sous-vide machine. These devices offer a lot of benefits beyond of sous-vide cooking. Thus, for example, stockpile fresh food over a longer period and produce healthy meals anytime soon,. Look forward to appetizers & snacks, main courses, side dishes, desserts, professional tips & dishes, funds and confits. In addition to these 70 recipes you will find in the book comprehensive information about: Sous-Vide and the benefits, equipment & accessories, practical tips and cooking times and temperatures.